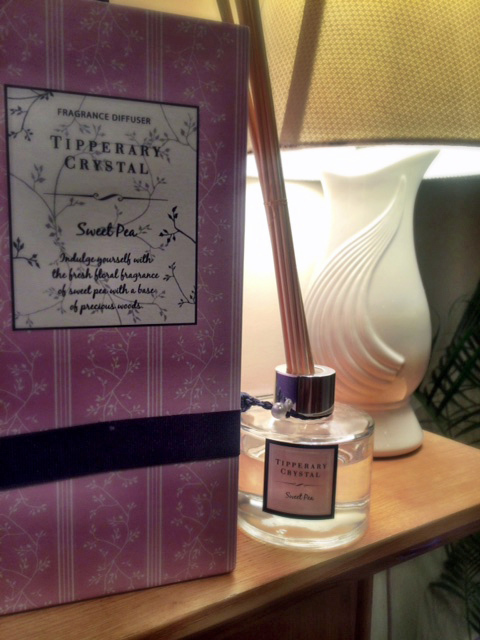 Luxurious fragrance diffuser set from Tipperary Crystal. Each fragrance is made using the essence of essential oils and lasts for up to four months. Comes in a beautifully presented gift box. Sweet Pea - Indulge your recipient with the fresh floral fragrance of sweet pea with a base of precious woods. Simply remove the cap and insert the reeds into the bottle of scented oil. Allow a few minutes for the reeds to absorb some of the fragrance. Carefully withdraw the reeds, turn them upside down and place the dry ends back in the bottle. The oils will travel up through the reeds and begin to dissuse the fragrance. Refresh the scent by turning the reeds unside down every few days. The fragrance should last up to four months. Always wash you hands after coming into contact with the oils. This gift is from Tipperary Crystal, an Irish design legend that has become synonymous with high-end designs and excellent quality, creating modern and classical collections in Irish crystal and many other products.